Merchants: Going to Affiliate Summit West? You are? Great – Let us know who you are! ShareASale is a proud sponsor of Affiliate Summit and we are looking forward to packing our bags and heading over to Las Vegas for the largest Affiliate Marketing conference! It’s always a great show for us and if you are also planning on attending, I know you’ll feel the same way. We will be available at our exhibit booth (at the front of the 300 & 400 row) during the show making great face to face connections. If you are also registered to go to Affiliate Summit, we will be happy to include you in the Merchant Directory which we hand out to Affiliates during the conference. 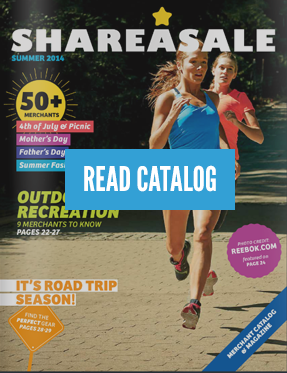 We will be distributing a directory of ShareASale Merchants in attendance to Affiliates we meet at our exhibit booth and Meet Market table. This directory is extremely popular with the Affiliates as it provides a great way for them to make some connections with other attendees! If you represent multiple Merchants and would like to submit all the information at once, please feel free to email me directly at Sarah@ShareASale.com. This directory is made available only to Affiliates in attendance at the 2017 Affiliate Summit West conference (January 15-17, 2017).